American motor racing legend and innovator Mickey Thompson gave tyre design no limits. 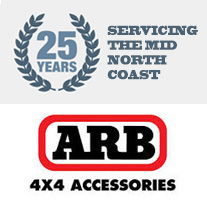 His tyre company has been a leader in tyre innovation since 1963 and is now known worldwide as a leader in high performance 4×4 tyres and wheels for the track and offroad. Mickey Thompson tyres helps you get the most fun and performance from your 4×4 when the going gets rough!